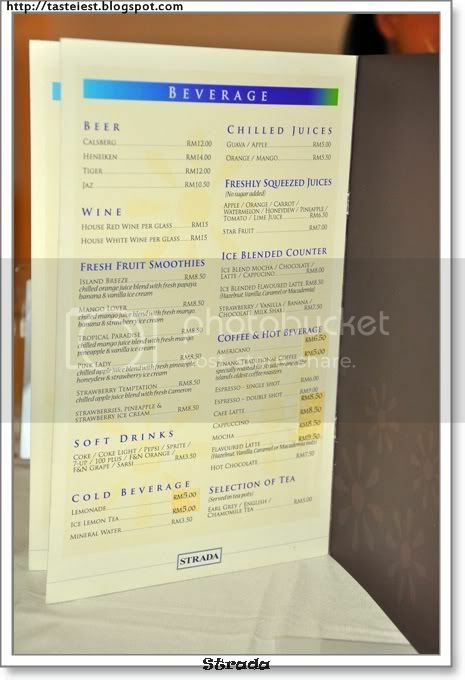 *Update: This restaurant has moved to 26Q Codrington Ave, Pulau Tikus. 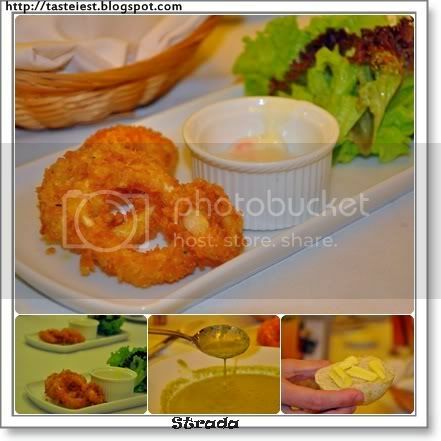 Strada was rated one of the best restaurant in Penang and highly recommended by blogger. 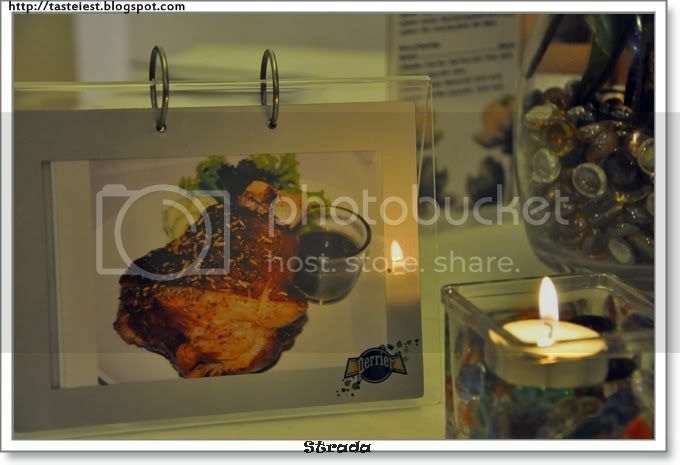 Taking the opportunity to celebrate my father birthday in Strada and it was a good dining experience. 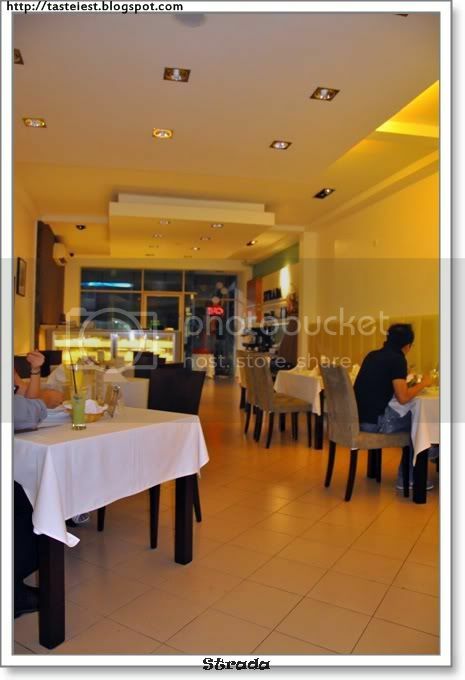 Good ambient, recommended for couple to enjoy dinner together. 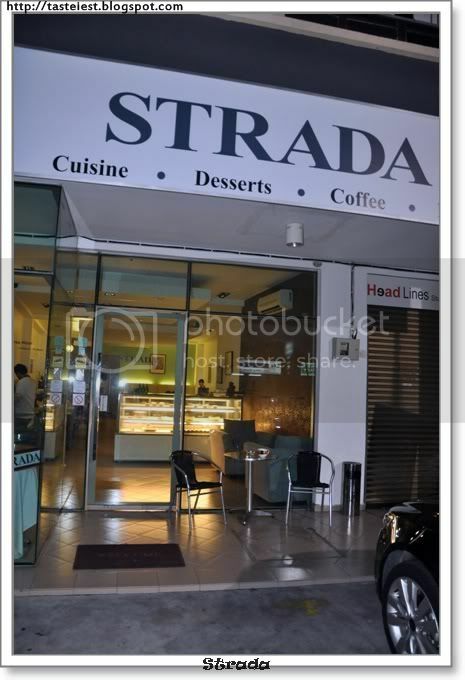 Strada accommodate less than 10 tables hence advance booking is recommended during peak hour. 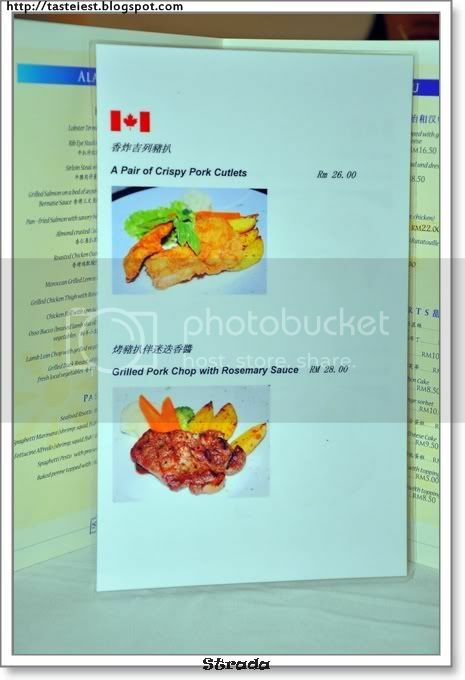 Some selected dishes are specially recommended but we did not order this pork knuckles, instead we order the other 3 dishes from this special menu. 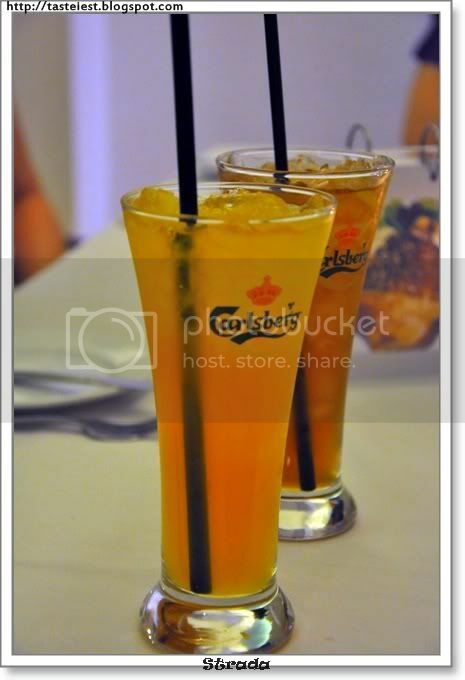 Ice lemon tea come together with set meal, additional RM17 for each set meal. We took 3 set meal. Set meal come with drink, fried squid, soup of the day and dessert. First glance I assume it was a fried onion but it was actually squid, together with soup of the day. Not really appreciate the soup as it was too salty and I not really know what it is. 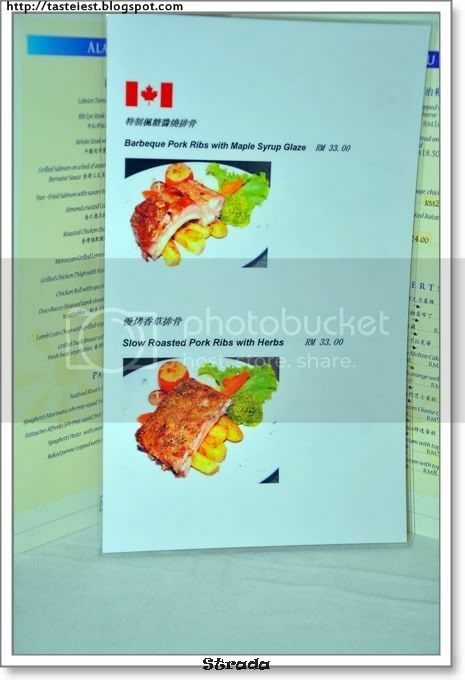 Barbeque Pork Ribs with Maple Syrup Glaze RM33, pork is tender and barbeque to perfection. 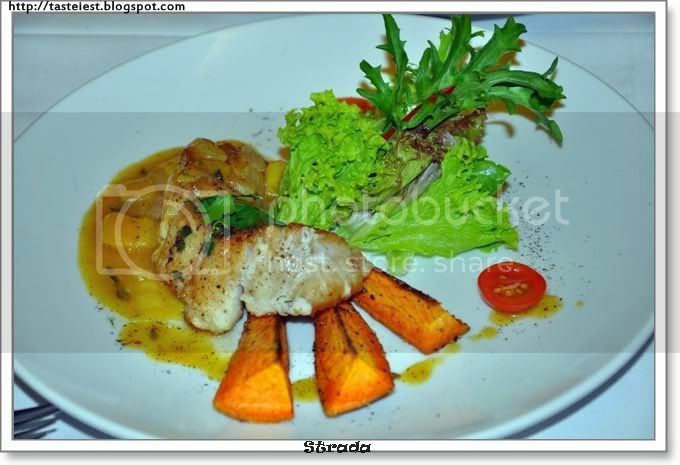 Something special about Strada is they don’t use potato instead replace with sweet potato, which make them unique and combination with pork is surprisingly match. 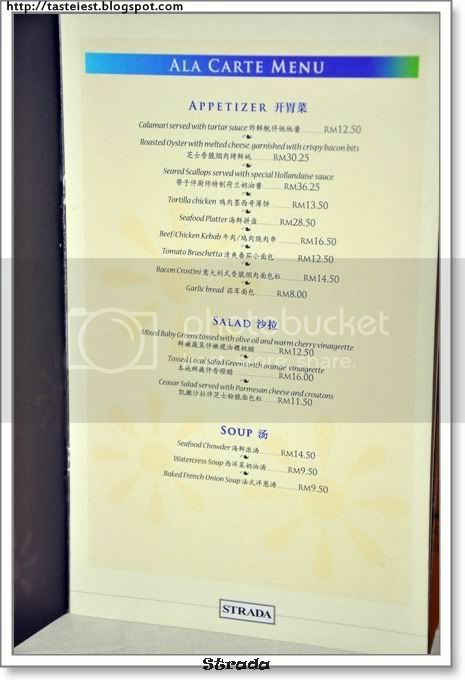 Grill Chicken Tingh with Rosemary Sauce RM27.50, two piece of drumstick with Rosemary sauce. 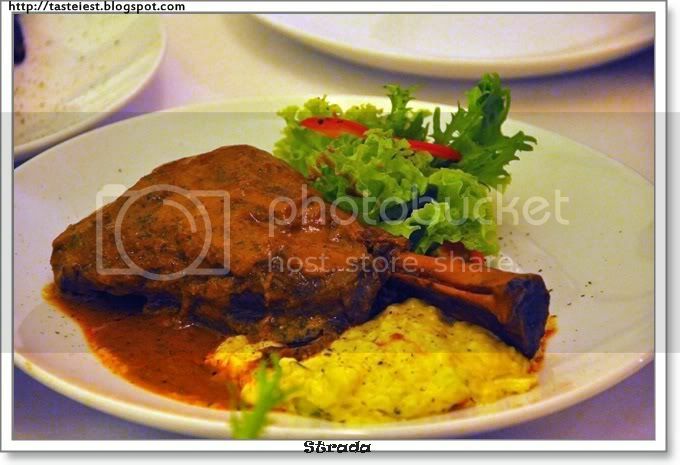 Osso Bucco(braised lamb shank) served on butterd Rissoto and grilled local grown vegetables RM38, my experience on good lamb shank is from Secret Recipe but after visit Strada I change my mind. The portion is big and the sauce is really perfect. 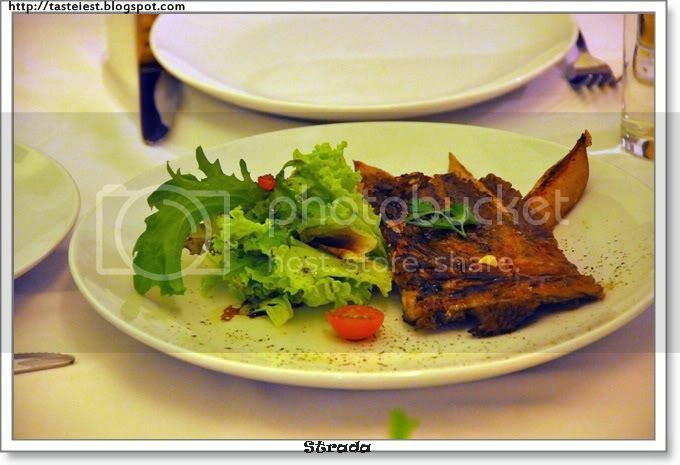 Today Special (Garupa Fish) RM33, I hate the fishy smell which make the dish totally a failure. Negative. 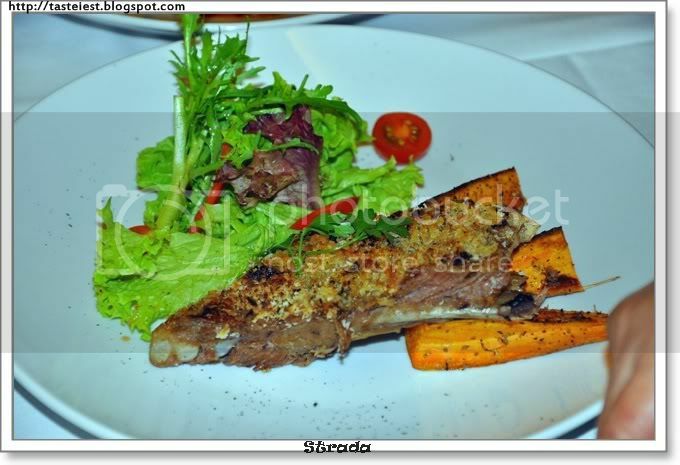 Slow Roasted Pork Rib with Herbs RM33, Pork ribs is always nice to eat with extra herbs on top make it even tasty. 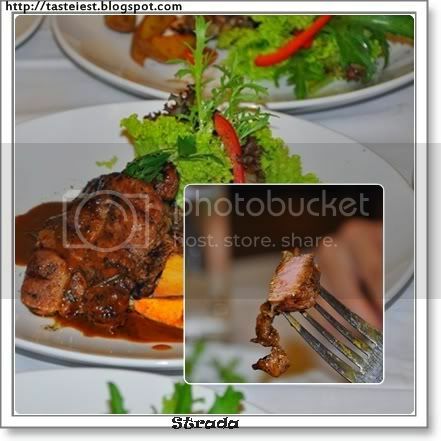 Grilled Pork Chop with Rosemary Sauce RM28, cook to medium well. I never know pork can cook like steak which so tender and a little bit raw in middle. 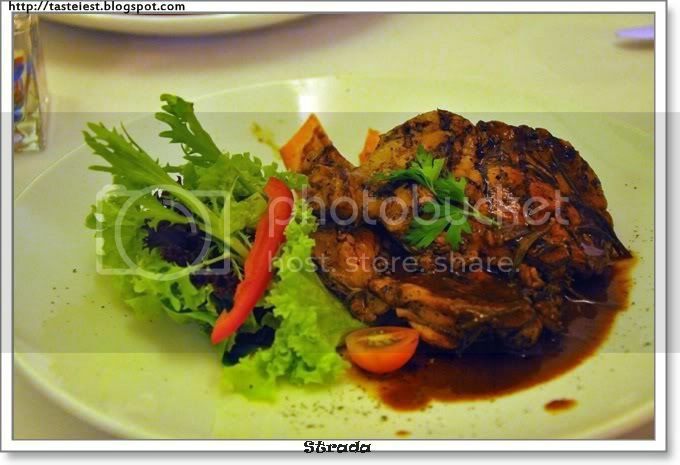 It taste almost like steak and extremely delicious. Recommended. 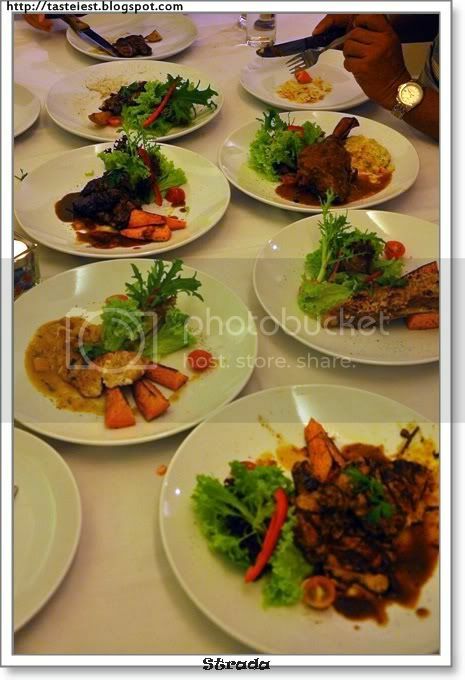 Total of 6 main dishes, very good food presentation for all dishes. 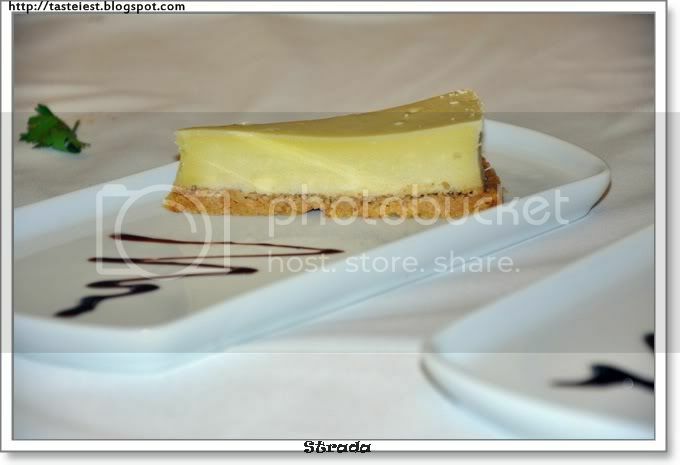 Finally, our dessert Cheese Cake. 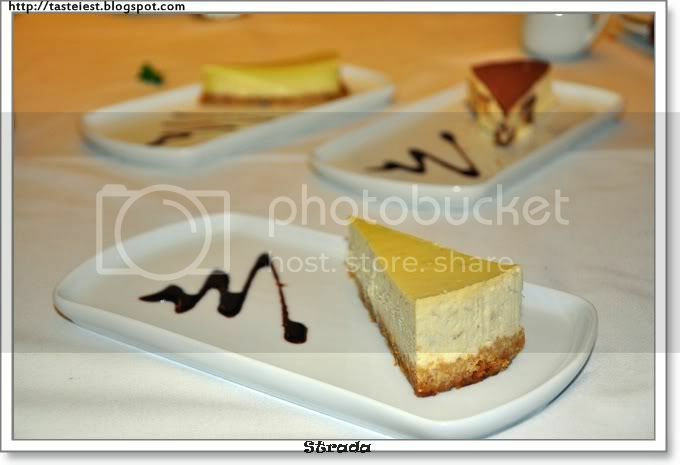 Marble Cheese and New York Cheese cake. 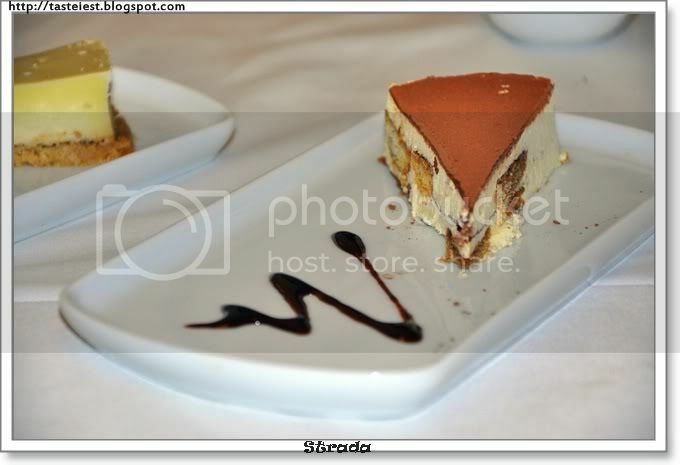 No doubt Tiramisu is what I am waiting for, no disappointment as it was the second best Tiramisu I ever tasted. Top with a lot chocolate powder and soft inside. Perfect. 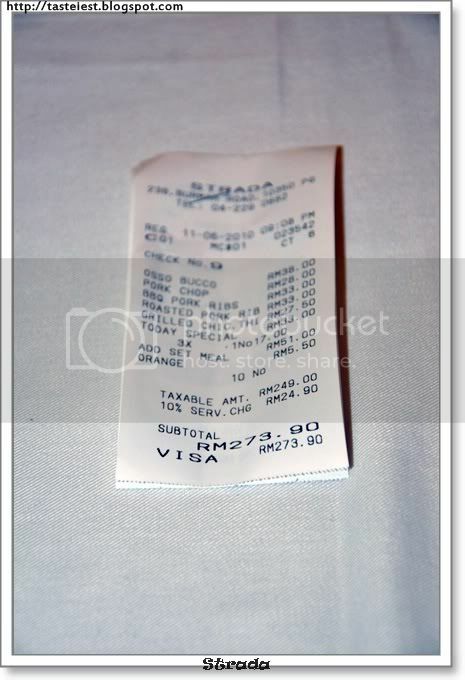 Total of RM273.90 for 6 pax is consider reasonable and good dining experience. 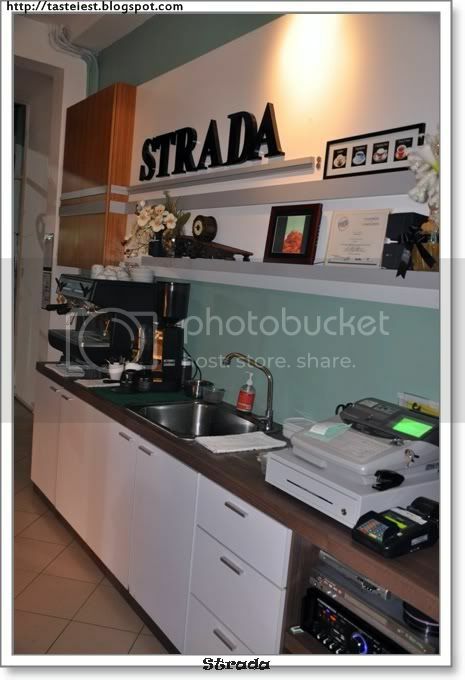 The update at the top of this post is mistaken (I’m the owner of Strada). 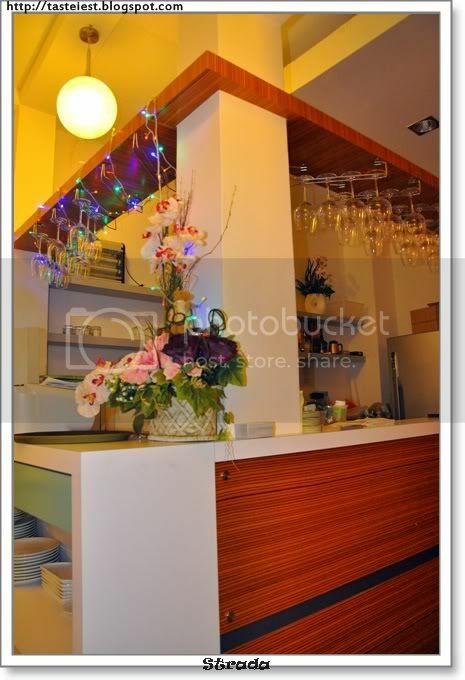 Since June 15 2011, we had moved to 26Q Codrington Ave, Pulau Tikus, at a single-story bungalow just off Burmah Road. Phone number remains the same. 04-229-0882. Thank you and hope to see you there soon!! Hi, thanks for your update. i am happy to hear that since i can’t find your shop again hence i put it as close.